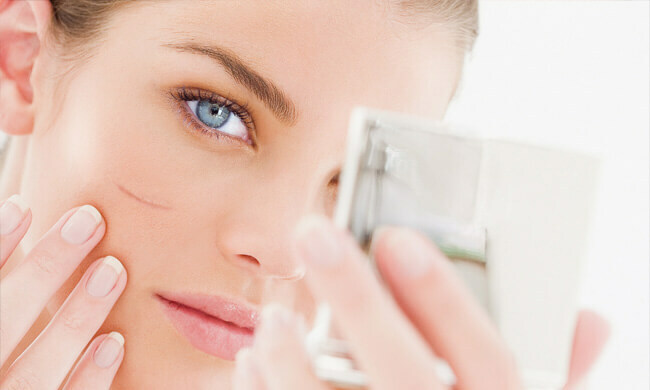 Almost any person, who has some drawbacks on the skin, wonders how to get rid of scars. We’ll share with you all possible ways how to get rid of scars. A scar is a result of a skin trauma and its restoration. This appearance is formed by the connective tissue and mostly consists of the collagen fibers. As a rule, such drawbacks are the results of the burns, deep cuts or perforation. You were injured and now you are looking for the ways how to get rid of a scar, are not you? There are several ways how to get rid of scars and in the article below you’ll learn all of them. A mask from melon has the following ingredients: melon’s seeds, eggshell, olive oil. You must grind the dried seeds, mix it with the eggshell and add olive oil. Apply the mixture to the troubled area, bandage and leave for the night. This procedure should be done 20 times to achieve the desired result. A honey and cabbage mask contains 2-3 leaves of a cabbage, 1 tablespoon of natural honey. Mill the leaves into porridge and blend with honey. Soak the cloth with this mixture and put on the scar for 2 hours. You should do it till the problem disappears. A mask from blue clay is made from a little blue clay and warm water by mixing the ingredients, till they acquire the thick creamy consistency. It is applied to the scars and as soon as it dries up, the mask is removed by warm water. How to get rid of scars by means of compresses? Use onions after you steam the damaged zone. Apply cucumber juice to the problem zone or take a banana, make porridge from it and do the same thing. Using honey on the problem zone and massaging it into it by your finger cushions is also one of the ways how to eliminate such problem. Using Aloe Vera gel will decrease the edemas and help to restore the damaged zones and strengthen the new cells. Aloe Vera is produced in various forms – gel, cream, and lotion. Indian gooseberry, also known as amlaka, is rather widespread like a powder or paste. A compress with camphor oil should be applied for all night long. A compress from tutsan’s oily extract includes 2 components: tutsan herbs and oil. Apply the compress twice a day for 20 minutes. Nevertheless, you should mind that the discussed folk remedies know only how to help to decrease the expressiveness of the drawback, but will never completely remove it. 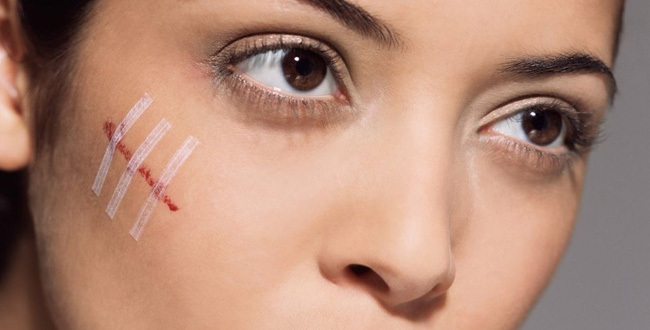 If you have some deep scars, the best option will be to get rid of them in a special clinic. How to get rid of scars using the cosmetic ways? Most of these ways are rather aggressive, but still very effective. They represent the controlled chemical or instrumental skin damage with the further healing and formation of new collagenous and elastic fibers. The result of this treatment will be flattering and aligning of the skin’s surface. According to the level of aggressiveness, there may be various ways to get rid of scars. In some cases, they may be very painful and require a long rehabilitation. Cryodestruction is the procedure which is done in the following ways. A special applicator is moistened in a cooling substance (usually, this is the liquid nitrogen) and pressed to the scar several times, till there is the ice around it. The phases of freezing and defrosting are very painful, that’s why the operation is held with anesthesia. To get rid of scars completely such procedure is repeated 2-3 times. Filling with collagen is done after local alleviation of pain. Doctors do several microinjections under the skin and a scar is instantly raised to the nearby areas. In general, the result of collagen injections is preserved from 3 to 6 months. Gels with hyaluronic acid stay from 6 to 12 months, and fat tissue – from 0,5 to 1,5 year. After the product resolves, a person has to repeat the procedure. Dermabrasion is done by special rotating brushes or other rotating tools, which skive the scar tissue. Right at this place, a scab appears and it goes away one well later. The scar is almost invisible after it. However, the most unpleasant fact is that dermabrasion may also make the drawback even more expressive. Microdermabrasion can change the appearance only of those scars, which appeared as a result of traumas, which happened at the upper skin level. In this case, the exfoliating particles are the powder from the oxide of aluminum. The crystal powder is sent to the problem areas, and it polishes the epidermis upper layers. To achieve the best results this procedure is done every 7-10 days. Lasers are often used as ways to get rid of scars. Particularly erbium and CO2 lasers. Polishing with the CO2 laser the epidermis is almost completely removed, the derma is heated and it triggers active collagen production. The erbium laser works more delicately because it penetrates only one thousandth of the millimeter and polishes the epidermis’s upper layer without thermal damages of the surrounding areas. Pilling by the glycolic acid gently penetrates into the skin and removes the keratinized cells. As a result, the old cells are destroyed and the new ones appear. Medium and deep pilling by the trichloroacetic or phenol acid dissolves epidermis and causes the necrosis of the upper dermal layers. The restoring mechanisms of cells are activated and the collagen is actively produced which results in the decrease of scar’s depth. Surgical removal is possible if the scar is not wide. A surgeon can cut it up and make an intradermal cosmetic stitch. Consequently, only a light almost unseen thread-like trace will be left. Speaking about big scars, we’ll single out one of the possible ways: plastic surgery with skin transplantation. The damaged area is cut up and the dermic graft is put there. It is usually taken from the patient’s healthy skin area. Silicone bags and tissue expanders are sewed in the skin near the scar. From time to time, the sterile physiological solution to increase volume is added there. The bag is growing and the skin is expanding with it. When there is enough excess healthy tissue, the silicone is removed, the scar is cut up and its ends are stitched. How to take care of the skin in order to get rid of the scar at once after the trauma? Massage the cut area, when the new skin. 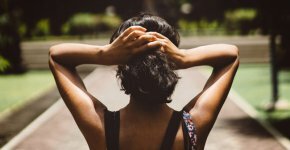 Think how your scar may avoid staying in the open sun. Stick to the safety measures, if there is a risk of getting burns and other damages. Silicone plasters are successively used. Some people may apply them for the night; others find it easier to do it in daytime. They are safe even for children. The concentration of silicone varies depending on the manufacturer. Such treatment is usually used to prevent scars or to improve the existing ones. It concerns the long-termed course of injections in the scar under the medical supervision. It may help to soothe and alleviate the damaged areas. The side effects of such treatment are negligible because the medicine does not get to the blood. It’s important to remember that everything you eat or drink directly influences on your skin. Refuse eating sweet and starch. Drink at least 12 glasses of water every day because drinking much water will assist all healing processes in your body. Include some honey and fresh tomatoes to your diet. Green salad refreshes the surface on the scars. Taking vitamin C, nuts, fish and other irreplaceable fat acids allows your skin look healthy. All these ways require patience and persistence because the results will be seen not at once. Choosing ways to get rid of scars you should consult your dermatologist doctor first. Only a specialist is able to choose one of the optimal ways how to get rid of scars.